Viva and Dilmah Tea are delighted to give you the chance to win a trip for two to Sri Lanka for 10 incredible nights. Six of those nights will be spent in three award-winning resorts known as Resplendent Ceylon, conceived by the Fernando family, founders of Dilmah Tea. Resplendent Ceylon are sole Sri Lankan members of Relais & Chateaux, a global collection of luxury hotels and the highest stamp of excellence. The lucky winners will fly with Singapore Airlines to Colombo, where they’ll explore the MJF Centre Moratuwa, where Dilmah’s founder Merrill J Fernando has realised his vision to help those in need. This includes helping children with special needs, women in business, encouraging sustainable agriculture and much more. 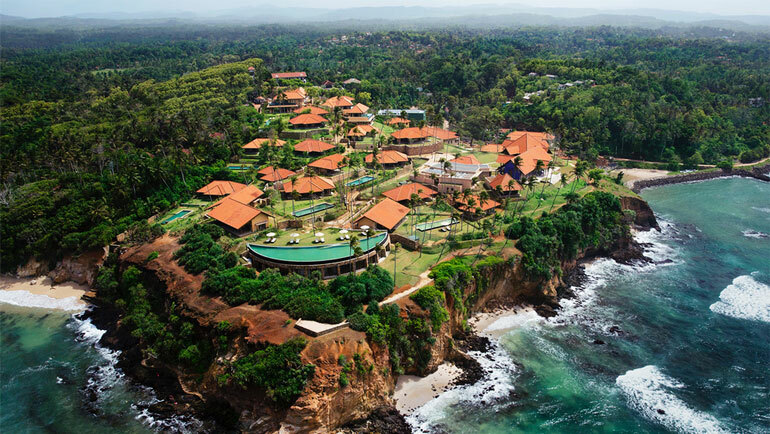 The first stay with Resplendent Ceylon is at Cape Weligama — a cliff-top resort overlooking the Indian Ocean on the southern coast. Here guests can relax and unwind, cycle through paddyfields or go scuba-diving or surfing. Other organised excursions include visits to Mankada, another MJF initiative to support a marginalised community of potters; a safari at Udawalawe National Park and a visit to the Elephant Transit Home for orphaned elephants. The adventure continues with two nights luxurious glamping at Wild Coast Lodge next to the Yala National Park, renowned for its leopard population. This incredible set up includes a free-form swimming pool, a beach of giant boulders and an ever-changing menu of Sri Lankan cuisine. As guests of Dilmah Tea, it is only right to experience Ceylon Tea Trails in the world’s first luxury tea bungalow resort situated high on the edge of the World Heritage Central Highlands. Here you can have spa treatments, explore the tea fields and learn about the art of Ceylon Tea. Along the way you’ll stay at other top quality Sri Lankan hotels Cinnamon Lakeside Colombo, Grand Udawalawe and Jetwing Beach, one of the most popular beach destinations on the northwestern coast, situated close to the airport to catch your Singapore Airlines flight home. Take a tour of Resplendent Ceylon's three luxury resorts.